Occupy the London Stock Exchange this October 31st. Meet up on the 31st of October at 16:30 - 12 December at 11:00 at the London Stock Exchange at 10 Paternoster Square, City of London. Beginning on October 31, we want to see at least over 20,000 people flood into lower St Pauls, set up tents, kitchens, peaceful barricades and occupy the London Stock Exchangefor a few months. Once there, we shall incessantly repeat one simple demand in a plurality of voices. A worldwide shift in revolutionary tactics is underway right now that bodes well for the future. The spirit of this fresh tactic, a fusion of Tahrir with the acampadas of Spain. 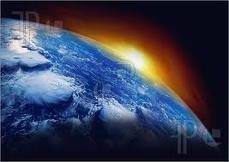 There is a Wave of change sweeping across the face of our planet, a transformation is under way. From the tented Democracy Village of Parliament square to the tents and tarps of Tahrir Square. From Tunisia to Tel Aviv,to the squares of Madrdid and Spain, from Greece to Tottenham ,from Hackney,Manchester and Birmingham to Los Angeles the people are stirring from a long slumber. From the squats of London,and the streets of Camden to the traveller sites of Dale farm,a wind is blowing that will shake the foundations of the world we know. A world that has a system that routinely ignores the death of 20,000 children from poverty every day.7 million per year dying the slow agonising death of starvation and death by easily prevented diseases. The world is being reshaped towards a people centred ,fair and sustainable system that cares for its people and nature .People before profit.We need to centre our world in decisions that benefit nature and all future generations ,not just the next 5 year profit margin. Such as the 'Declaration of Mother Earth Rights' by the Bolivian government and people led by President Evo Morales an indigenous leader. To the story of ' the children's fire'.A native American tale of how all our decisions should be viewed as to how they will affect all the children of the world.A change is coming. One of the reasons i have started to activate this blog is that my face book has been frozen,probably due to being to effective a networker of change. The last thing I posted was about the #Occupywallstreet demonstration that had spread to LosAngeles with a general assembly being declared. Apparently this wind of change has also spread to San Francisco and Chicago.Soon to be felt in Manchester on 2nd october. You cannot stop an idea it is bullet proof..Occupying space and creating assemblies to discuss amongst the people what sort of future we want to see is direct democracy. The forces of facebook,twitter and yahoo who have been,removing posts and acccounts,removing trends and censoring emails are undemocratic and aid the forces of totalitarianism. These brave Americans true supporters of Liberty, Justice and the Constitution have been gathering for a week with thousands occupying Wall St peacefully, having discussions,forming media groups,action groups and those willing to be arrested.as well as many other circular working groups to envision the future we all want to see, a future free from want , a future free from fear and a future for all the human race as well as the species we share this incredible blue and green jewel of a planet with. Assemblies of people are gathering across our Globe to re envision the future, towards a world navigated from the heart,that does not send machines to rip humans apart, but to find the solutions to the pollutions, and create energy sources that help to share the earths resources, there is enough homes for all, there is enough food for all .Time to share or we will be going nowhere around the evolutionary spiral path,time to shift our consciousness.As Buckminster Fuller said 'a problem cannot be solved at the same level of consciousness that it was created at. A fire burns within me that will never be extinguished, the fire of hope and transformation. The fire from within as Carlos Castaneda called it. Words of wisdom from the edge of destruction,will we heed the call and awake in time, into a sustainable future of our making, stop the taking, start the sharing,never to late to start caring.For your neighbours, for all our relations as the Native Americans say. Lets hope tomorow will be a better day.